This book is the first in a series of essay collections on defences in private law. It addresses defences to liability arising in tort. The essays range from those adopting a primarily doctrinal approach to others that examine the law from a more theoretical or historical perspective. 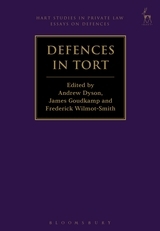 Some essays focus on individual defences, while some are concerned with the links between defences, or with how defences relate to the structure of tort law as a whole. A number of the essays also draw upon concepts and literature that have been developed mainly in relation to the criminal law, and consider their application to tort law. The essays make several original contributions to this complex, important but neglected field of academic enquiry. 9. A Defence of Duress in the Law of Torts? 13. Should Contributory Fault be Analogue or Digital? the book is essential reading for all private law scholars. 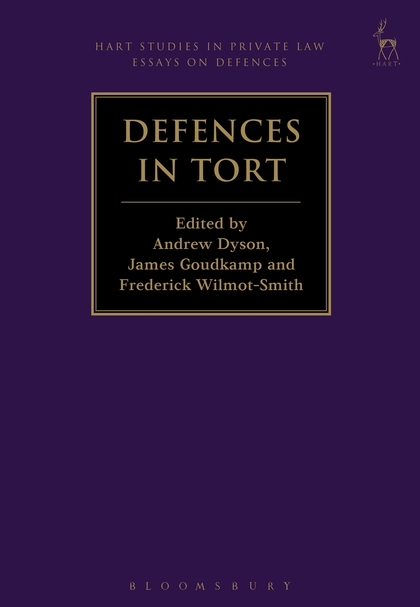 [Defences in Tort] is the first in a series of works concerned with defences to liability arising in private law and if the future editions come anywhere close to the calibre of essays contained here one very much looks forward to reading the rest.